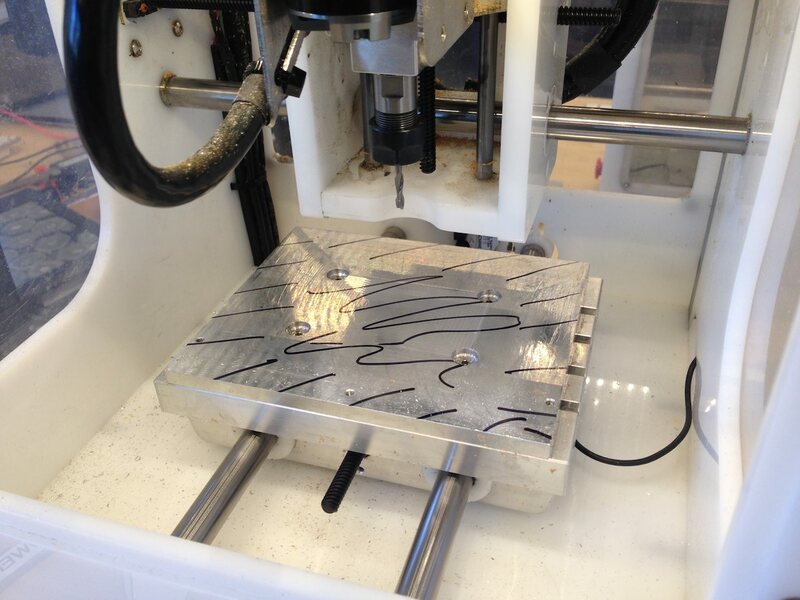 Occasionally a tool will gouge the surface of your Bantam Tools™ Desktop PCB Milling Machine’s spoilboard. The spoilboard is intended to incur occasional scratches, and they generally won’t have much of an effect on milling accuracy. However, sometimes you just need to start fresh. These instructions will walk you through the process of resurfacing, or facing, the milling machine’s spoilboard by machining off a tiny amount of a material’s surface to make it smooth and level. In case of gouges to the spoilboard, the mill can face its own spoilboard to maintain a smooth and level surface. First, download the Bed Facing G-Code file. Make sure the spoilboard is clear and free of any materials or fixturing. 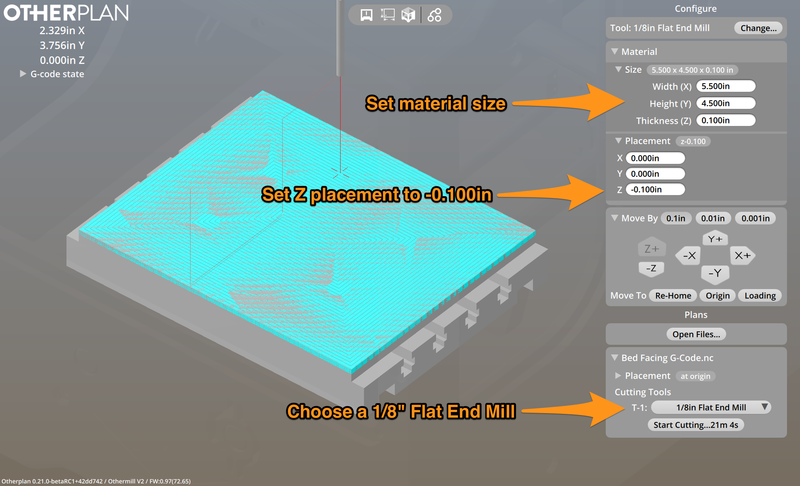 From the dropdown menu inside the imported file, choose a 1/8" Flat End Mill. Insert a 1/8" flat end mill into the spindle, and run the tool locating sequence. When prompted to find a clear spot on the spoilboard to locate the tool, use the arrow buttons to position the tool over the center of the spoilboard. Using a Sharpie or other permanent marker, draw lines all over your spoilboard. If any lines are still there after running the facing plan once, reduce your material thickness by 0.006" and run the facing plan again. Double-check your settings, clear the spoilboard of any material, tape, or debris, and make sure your windows are in place. Make sure you have everything you need to settle in for a while (a good book, a glass of juice) and click the Start Cutting button. The machine will ask you to confirm. Once you’re ready, click OK and your machine will begin facing its own spoilboard. If you can see any Sharpie lines, reduce your material thickness by 0.006" and run the facing plan again.